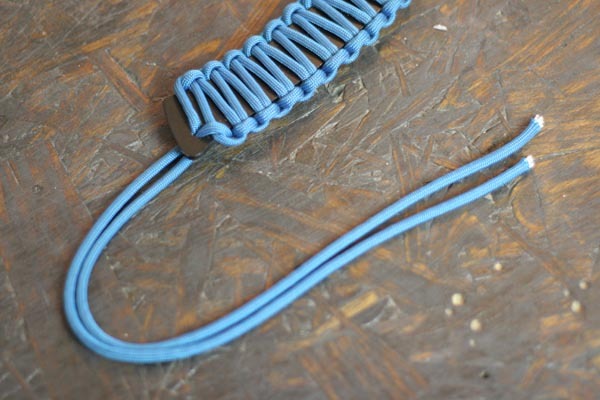 Looking for cool new paracord projects to try out for your gear? 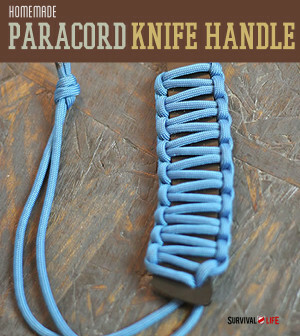 Paracord can be used in really cool ways to update and enhance your survival gear and weapons. 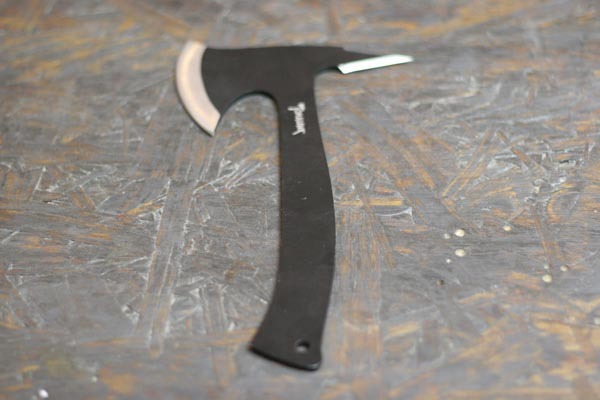 Tired of boring old knife grips? 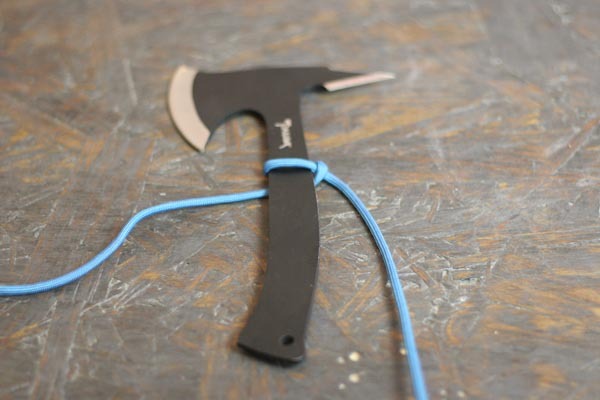 Give your blades and gear handles a makeover with this cool project. 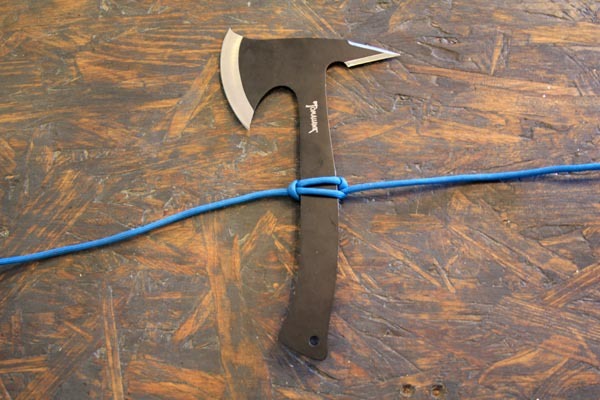 All you’ll need is some paracord and a half hour. 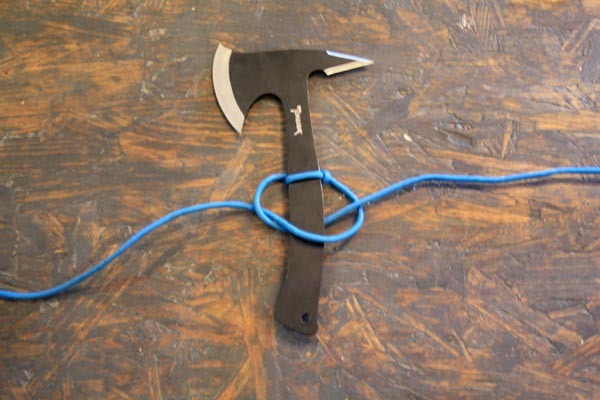 No experience necessary – this tutorial is perfect for beginners! 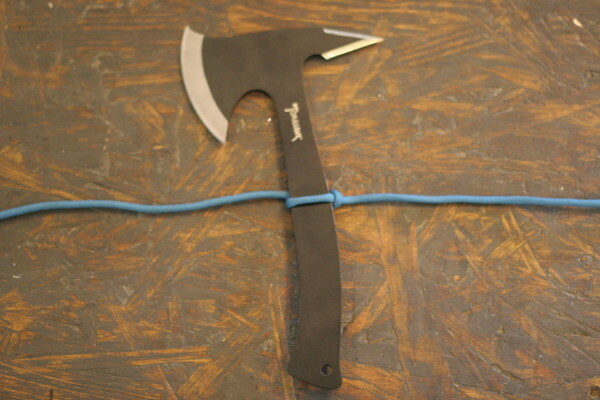 Step 1: Grab that which you would like to sheath! 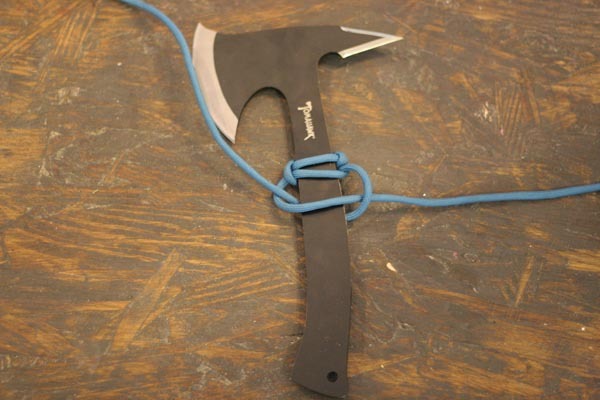 Step 2: Lay your sheath on top of the Paracord. 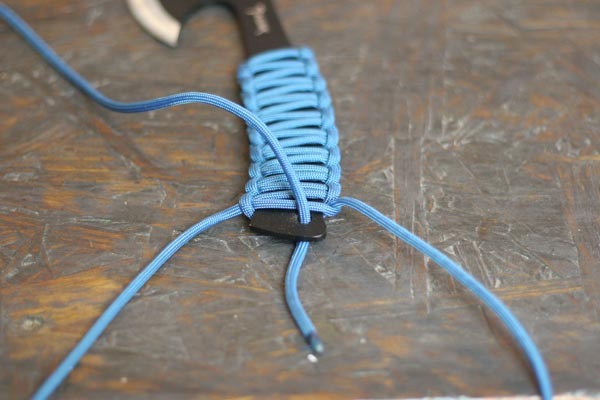 Take the left side of your Paracord and run it over the sheath and under the Paracord on the opposite side. 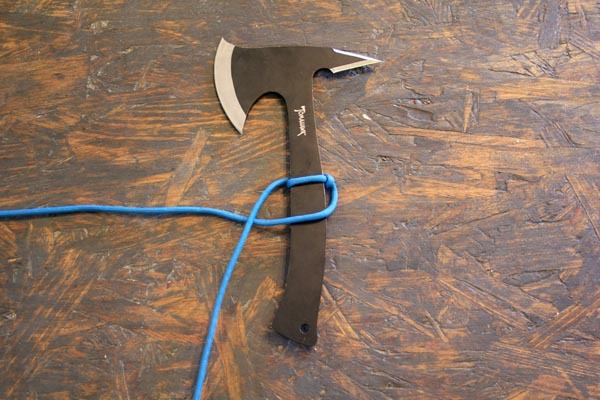 Step 9: Thread the left-side Paracord through the loop on the right side. 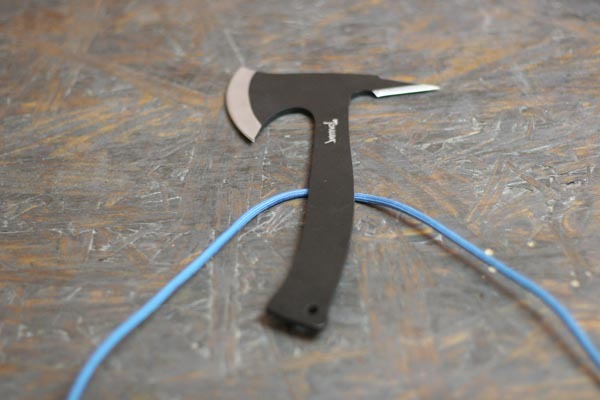 Melting the tips will make it easier to thread the Paracord through the eyelet on your sheath if it has one. 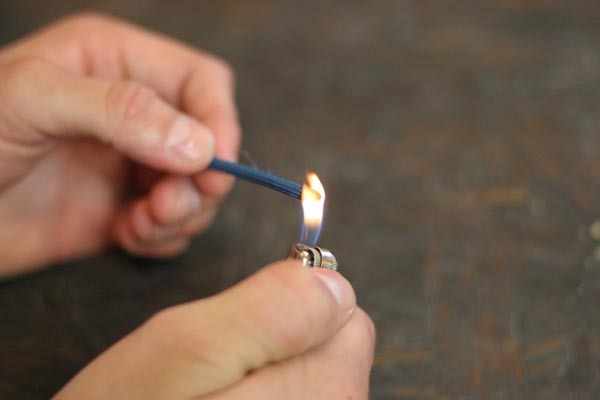 It will also prevent the ends from fraying. 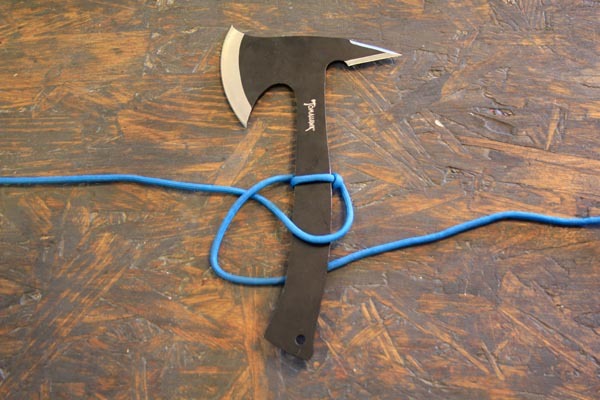 This tutorial is fast and easy. 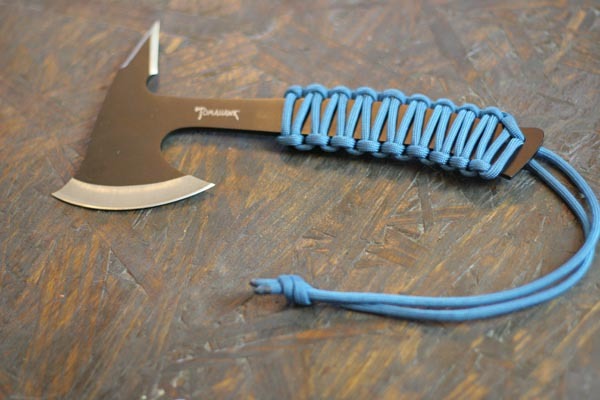 If you have a tired looking knife (or Tomahawk), you owe it to yourself to put some pep in it’s step with an awesome new Paracord weave. 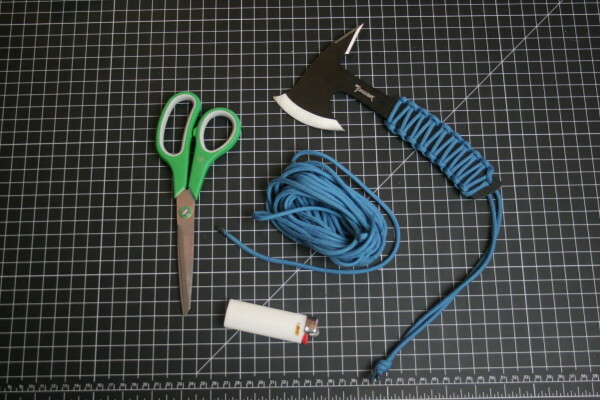 Of course, this tutorial will work on non-weapons as well. 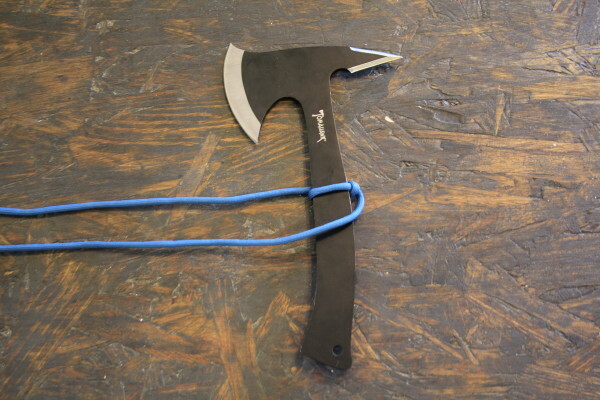 Try it on your Spatulas! NINJA COOKS!